Not sure this Tikus know how to cook for me or not oh... But I'm sure this mouse is clever enough! I remember I did close the cover properly before I leave. 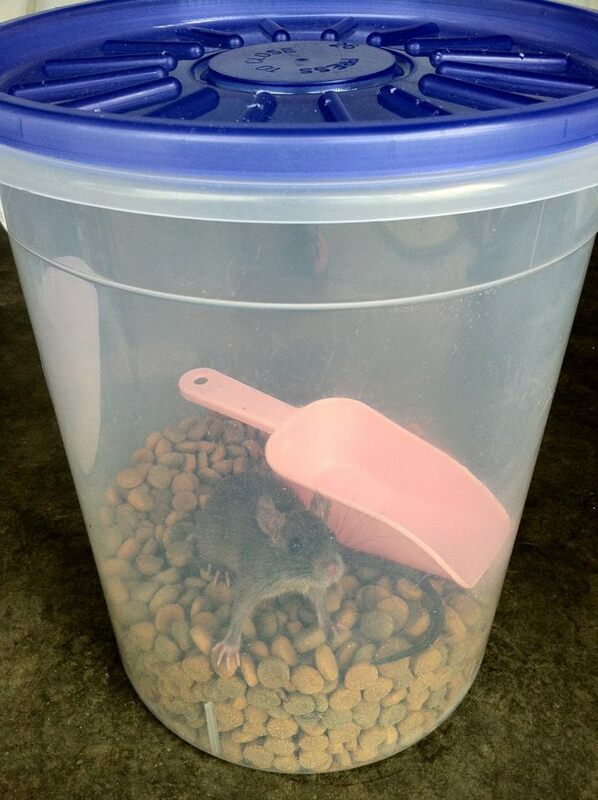 Then today I went to feed again my niece's dog and I saw this Ratatouille in the the container enjoying the dog food. Maybe this time he had too much of the food and couldn't jump out again. I'm sure this mouse had came here for some time sudah. He is smart, know how to open the cover and go in eat the food. But he didn't realize that the food slowly doing down day by day... and this time he couldn't come out again and stuck inside the container. I feel bad that I kill and small animal at the Christmas Day. Although I like to watch the Ratatouille cartoon movie but this mouse still have to die. Killing a mouse is not that hard, all you have to do is put then under that sun for sunbathing. If the sun is up high high in the sky middle of the day hot hot one.... wh that one nyman loh... just expose him for 30 minutes sure you see him die one. Mouse actually cannot under the sun for long one... They get dehydrated easily!!! Merry Christmas and Happy New Year to you Mickey!!! !